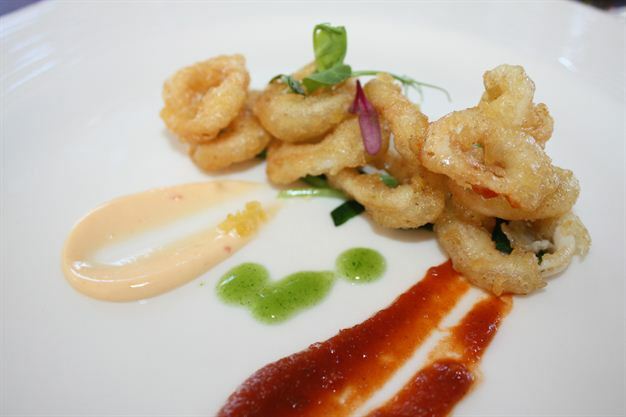 Tempura ginger-caramel squid with tomato jam and Yuzu Mayonnaise. 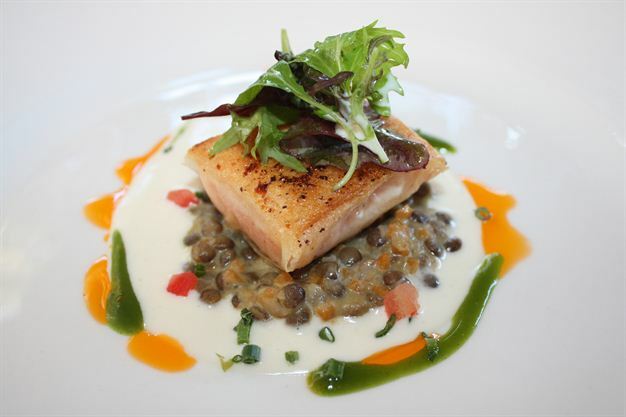 Brique wrapped Norwegian salmon with green Thai Puy lentils, bacon foam. 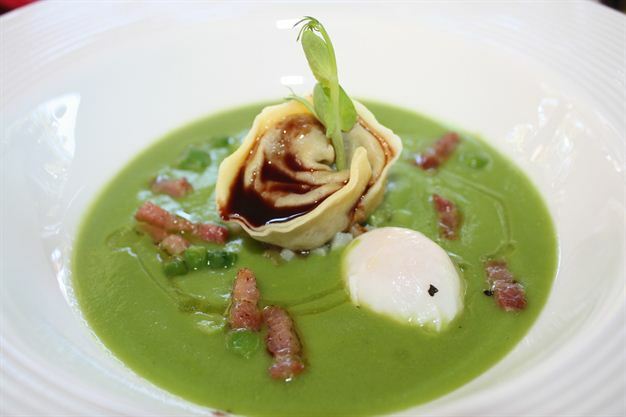 Oxtail ravioli with home cured bacon, poached quail egg, celeriac and petit pois, Leccino and truffle. Barbeque fillet with Dauphinoise potato, red wine shallots, Shimenji mushroom and demi-glace. 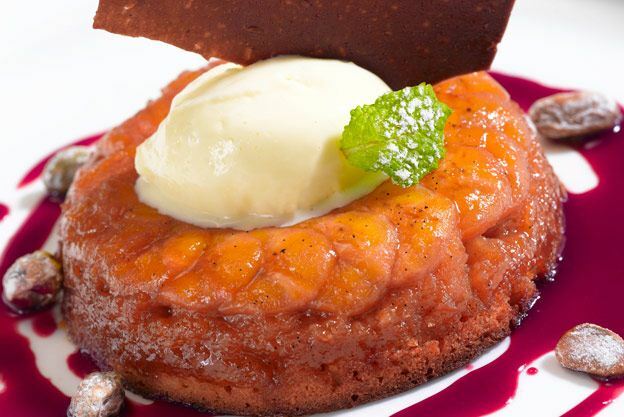 Rum-spiked banana pudding with white chocolate sorbet. 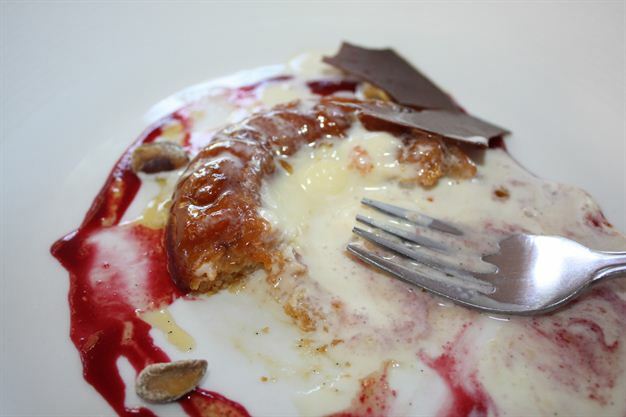 Banana rum savarin with white chocolate vanilla sorbet and raspberry swirl.